Supreme Court Associate Justice Ruth Bader Ginsburg poses during the official Supreme Court group portrait at the Supreme Court on November 30, 2018 in Washington, D.C.
Justice Ruth Bader Ginsburg underwent surgery to her lungs on Friday to treat the early stages of lung cancer, according to an announcement from the Supreme Court. Doctors performed a lobectomy at Memorial Sloan Kettering Cancer Center in New York City on Friday in which they removed two malignant nodules. There was no evidence of remaining disease, according to doctors. 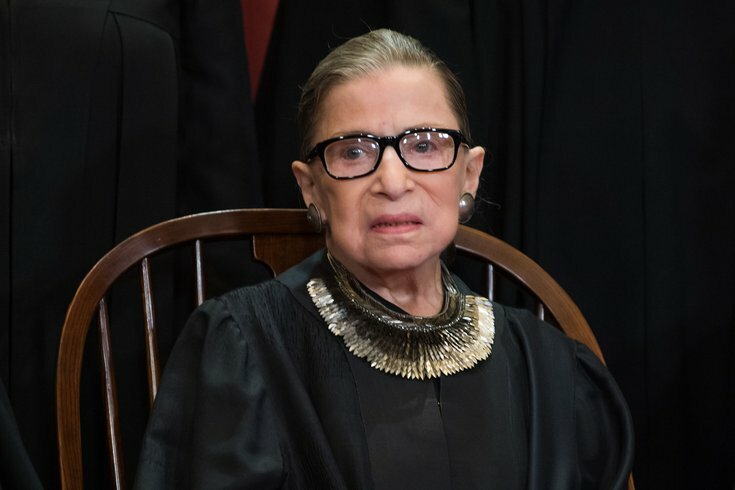 Ginsburg, 85, is expected to make a full recovery and will return to the court for the start of the new term in early January, NPR reported. This is the justice's third bout with cancer. NPR reported that during her 25 years on the court, she has never missed a day or oral argument.